Last week, I blogged about my afternoon tea experience in Oxford, which inspired me to create an afternoon tea of my own! 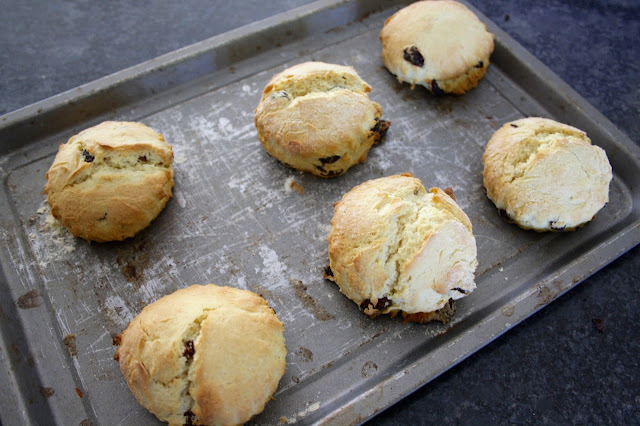 The crowning glory of my afternoon tea at The Grand Cafe was definitely the gorgeous home-made scones, so I decided to recreate these in my own kitchen with this super easy recipe. 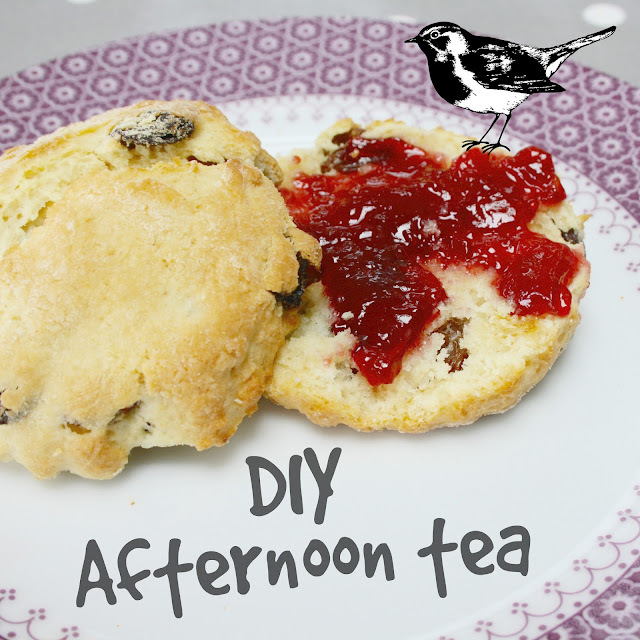 You can easily whip up some of your own fresh scones in a matter of minutes, just to treat yourself, or to share if you want to add a sophisticated afternoon tea vibe to a get-together. Keep reading to discover my recipe. Step One: Preheat your oven. Turn it up to 190 degrees, 170 degrees on a fan oven, or Gas Mark 5. Step Two: Place the flour, margarine, and sugar in the same bowl. 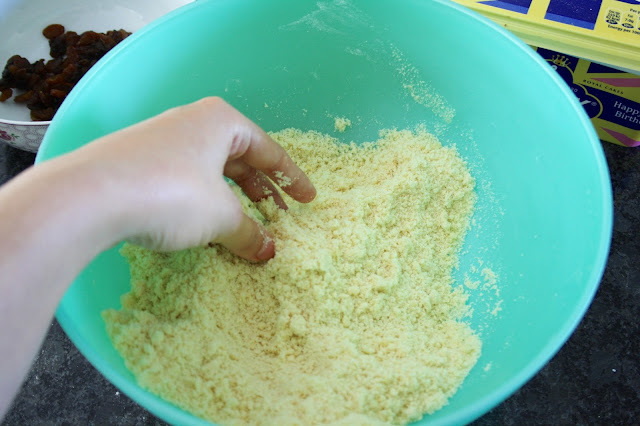 Plunge your hands in and start rubbing the mixture together until it becomes the consistency of breadcrumbs! The photo below shows you what you should be aiming for. 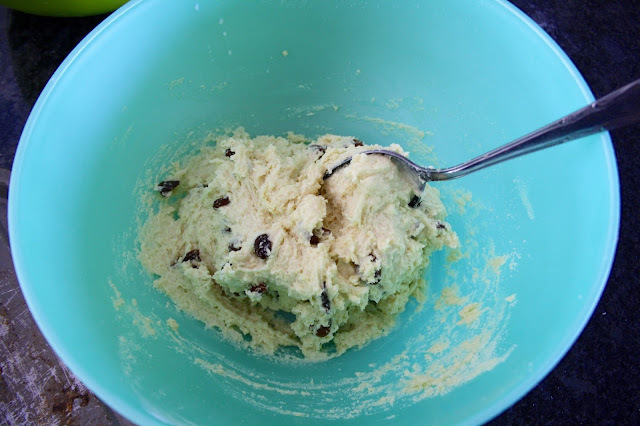 Step Three: Make sure that there are no large lumps in your mixture. 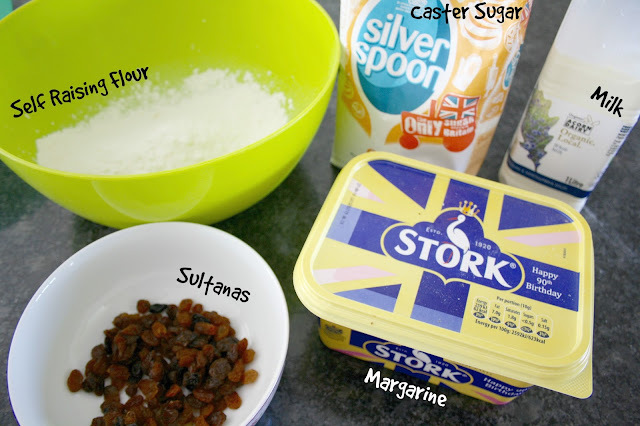 Then add in the sultanas and mix them in using a spoon. Step Four: Add small splashes of milk and keep mixing. 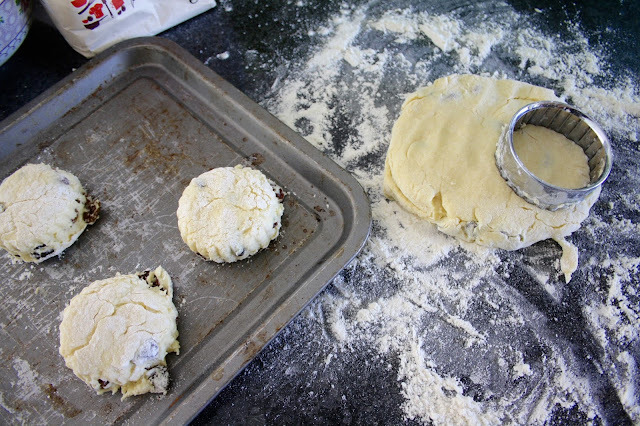 Keep adding little splashes until you have formed a sticky dough, which looks like the picture below. Step Five: Sprinkle your work surface liberally with flour. This will prevent the mixture from sticking to the countertop. Then place your mixture on the work surface. Don't roll it out with a rolling pin. This will push all the air out of the scones and make them all flat - not good. Instead, lightly press out the mixture with your hands until it's even on top. Step Six: Use the circular cutters to cut out your scones, and place them on the baking sheet. Step Seven: Once you've used up all of the mixture, place your scones into the oven. They usually take between 10 and 15 minutes to cook, but check on them regularly as they may need a little longer. Once they're cooked, they should be light brown in colour on the top, as seen in the photo below. Allow them to cool on a rack for a little while, then they'll be ready to eat! I like to enjoy my scones with strawberry jam and cream. If you have a go at this recipe, do share photos with me on Twitter or Instagram! What are your favourite afternoon snacks? Are you a scone lover? Or do you prefer a chocolate biscuit with your cuppa? Let me know in the comments below.